Leap SA is pleased to support Dr Paul Lam's Tai Chi for Health Programs. 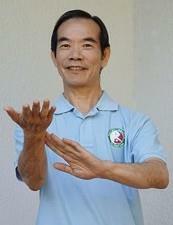 Dr Paul Lam is a world leader in the field of Tai Chi for health improvement. Leap SA is pleased to support Master Trainer Brenda Hum in all her Tai Chi for Health Trainings. Brenda is a Master Trainer in Dr Lams Tai Chi for Health programs. and has over 35 years of Tai Chi experience. Brenda will be conducting training inTai Chi for Rehabilitation on the weekend of March 23rd and 24th 2019 from 9.00am - 5.00pm at Fulham Community Centre. For all information download the flyer. Brenda will be conducting Tai Chi for Arthritis with Falls Prevention on Friday June 14th and Saturday June 15th from 9.00am - 5.00pm at Arthritis SA. For all information download the flyer. Leap SA, including Master Trainer in Tai Chi for Health, Brenda Hum, is bringing Dr Paul Lam to Adelaide in August 2019. Dr Paul Lam will be conducting two workshops on August 9th at Fullarton Community Centre and training in Tai Chi for Memory at Goodwood Community Centre on August 10th and 11th. Download flyer for all information about costs, venue and registration. If you are interested in doing the Tai Chi for Memory Training please download the flyer for all the details. Get in early because there are definitely limited spaces which will be filled once the news gets out.